This topic contains 21 replies, has 9 voices, and was last updated by Javier 1 week, 3 days ago. Wow that looks fantastic! Can’t wait to put it on my cab and enjoy playing it! Thanks so much! Thanks, you are the King ! Thanks I bet this is great! Will give it a try tonight! any plans to make the upper flipper correct size and texture? @javier1515 otherwise looks great! This reply was modified 2 weeks, 6 days ago by randr. I already have an updated version with the king-flipper and other arrangements. 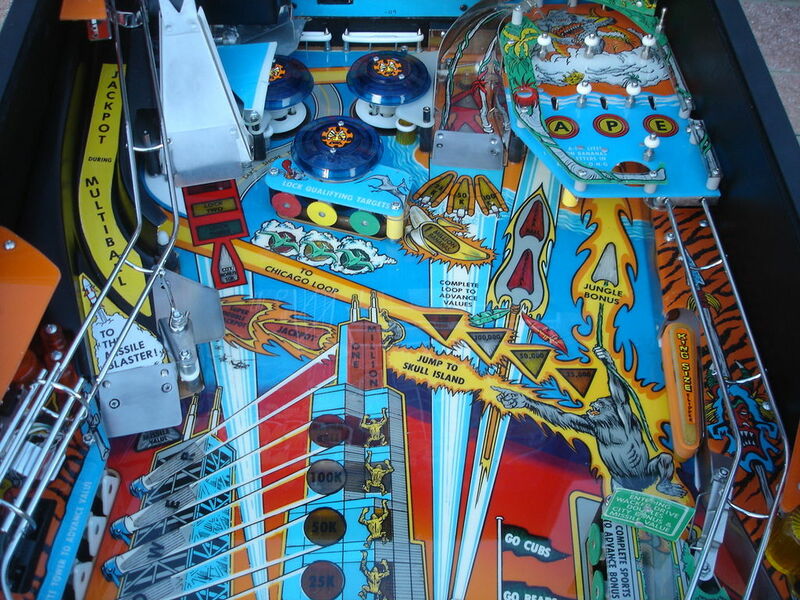 If someone can do the decal ramp of the jackpot and the king-flipper would be great for the table to be more like the real one. With or without King flipper. Very nice job. I like ! Apparently there are only 9 prototypes of this actual table in the world. It never went to production although it was slotted for an initial 3000 unit release. The reality that we are able to play this is amazing! I love that this vpx is getting better and better. Thank you Javier and thank you Dazz and Gtxjoe! Excited for the King Flipper and Future changes. Wow! Pinball history and we can play it. Amazing! I’m attempting a re-draw of the ramp decals and flipper decal… (along with a primitive of each) Anyone have an idea on what that font would be on the ramp decals? that would save a ton of time. The flipper I’ll do by hand. This reply was modified 2 weeks, 6 days ago by cyberpez. @javier Fewwww, that ramp… you were not kidding. I think I could come up with a collidable primitive ramp that should work pretty well, along with a visible ramp to go along with it. I’ve had pretty good luck using Col Primitive ramps, both AFM and tmnt use them. Let me know if you are interested. Flipper decal is done, I’d just have to size it to a king size flipper. @javier1515 : I believe you need to make wall58 a bit longer, I was able to loose the ball behind the targets from the opening. do it, do it man! I think you mean the wall158? If so, I already solve it in the next update! Best would be 1) Make sure you have the latest version 2) report the issue with a picture, so that we or author can fix it for everyone.